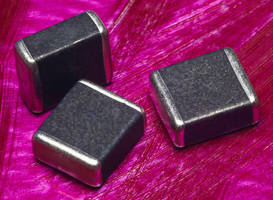 Multilayer Metal Oxide Varistor protects against load dump surge. Offered in 2L (6.1 x 5.1 mm) size, NV73DSÂ absorbs surge voltage that occurs from inductive loads of motors and relays to protect electronic components. This 40 J load dump varistor offers voltage ranges from 20–45 V1mA as well as max clamping voltages from 40–60 V1A andÂ operates fromÂ -40 toÂ +125Â°C. Symmetrical non-linearity V-I characteristics are suited for max absorption of both positive and negative surges. Product meets load dump surge test for JASO and is AEC-Q200 qualified. KOA Speer's new multilayer varistor offers voltage ranges from 20 ~ 45 V1mA as well as maximum clamping voltages between 40 and 60 V1A, with an operating temperature range between -40°C~ +125°C. The NV73DS varistor features symmetrical non-linearity V-I characteristics, ideal for maximum absorption of both positive and negative surges, and has a high resistance to cyclic temperature stress. Suitable for flow and reflow soldering, the NV73DS varistor provides protection from load dump surge for electronic automotive devices and semiconductor elements, as well as other applications in the industrial and automotive markets. The NV73DS meets load dump surge test for JASO and is AEC-Q200 qualified. Lead time is 10 weeks, please contact KOA Speer for more information. KOA Corporation, whose global presence includes corporate headquarters in Japan, and sales locations in the USA, Germany, China and Singapore, offers a wide range of products which include thick and thin film resistors, current sensing resistors and resistor arrays; thermal sensors, fuses and varistors; wire wound, multilayer, power and thin film inductors; LTCC's and modules. KOA Speer Electronics, an affiliate of KOA Corporation, has served the electronics industry since 1980. Disc Varistors provide surge protection.